Big news in spy-ville: We can now show you the cover for the second SCHOOL FOR S.P.I.E.S. book, and it’s a stunner! 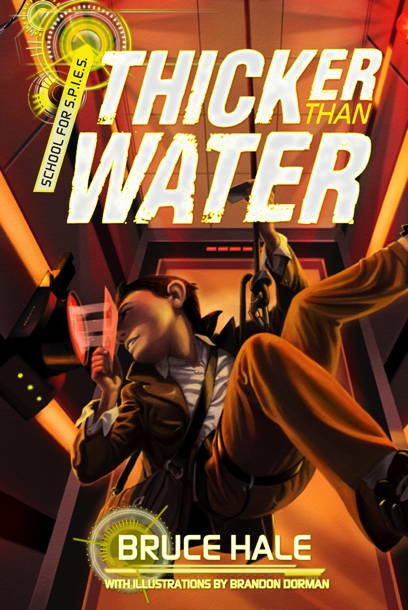 THICKER THAN WATER, which comes out June 26, 2014, features a dramatic cover image by Brandon Dorman. It shows Max Segredo doing some high-stakes spying. The story picks up shortly after Book 1 ends. Simon Segredo is on the run, and the crew at Merry Sunshine Orphanage is facing two threats: LOTUS is trying to drive the School for S.P.I.E.S. out of business, and the Ministry of Health is investigating an anonymous complaint about the orphanage. Into this chaos strolls a mysterious billionaire who hires S.P.I.E.S. to steal a powerful mind-control device. The fee for the job will help save the school, but there’s a catch: They’ve got just three days to pilfer the device from an ultrasecure facility before LOTUS steals it first. Can the S.P.I.E.S. team beat their rivals to the prize before the orphanage doors close for good? 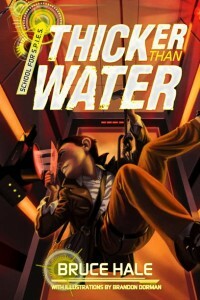 Find out this June in THICKER THAN WATER!